We work with various companies who provide wedding stages in London so as a customer you don’t need to struggle to find one. We can arrange meeting between client and wedding sage providers at no additional cost. We provide these handy services to our clients so their wedding planning process becomes easier to handle. Wedding stages are very important part in any kind of wedding ceremonies because this is the prime place where many ceremonies take place. 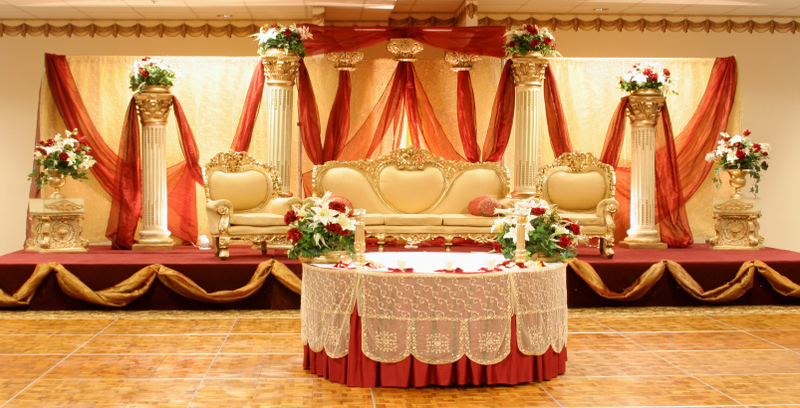 Our suppliers have wide range of wedding sets specially designed for Indian and south Asian weddings in London. If you need wedding stage for your party then please get in touch with our team now.